The general goal of a multi-platform mobile design is to achieve both brand consistency and alignment with platform-specific conventions. 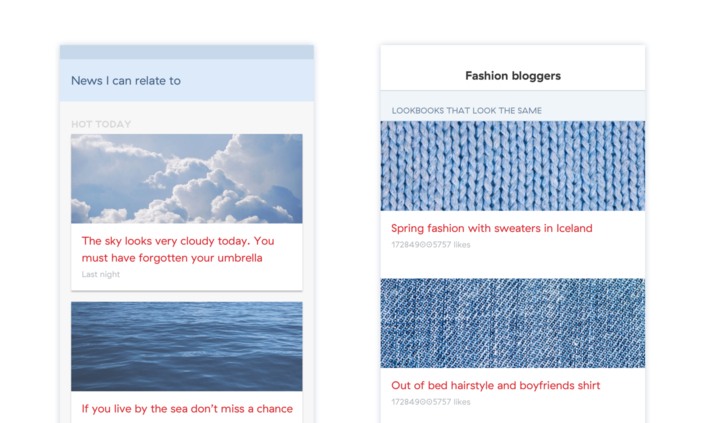 But, the only way to truly ensure style and layout consistency across various platform versions, manufacturers, screen sizes and densities is by using custom UI components. When going custom, you’re always risking creating something that doesn’t feel “at home” to the user. The sense of depth is critical when using an app. 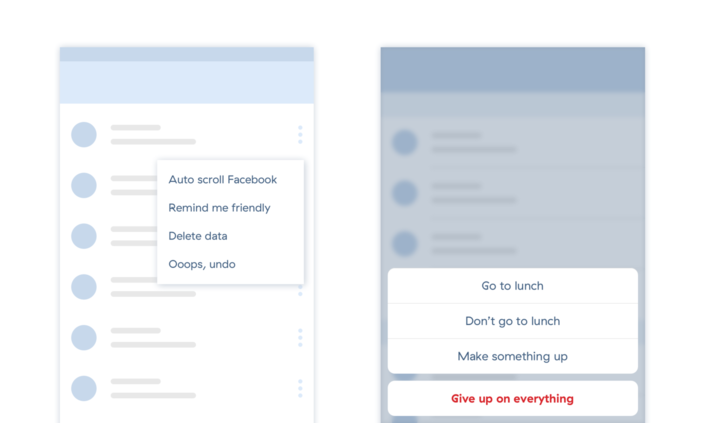 The user needs to focus on screen elements such as buttons, input fields, and navigation bars that are important for completing tasks. 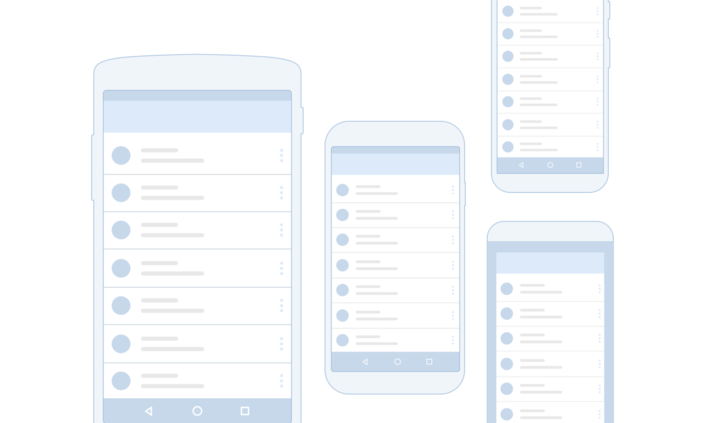 Material design uses different shadow styles for the UI layers. The shadow value depends on the Z-axis, which marks the importance of a particular UI element. 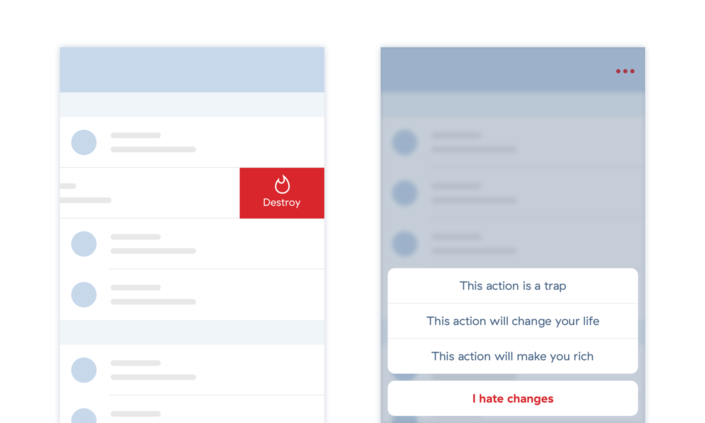 iOS design uses gradients, background blur, and semi-transparent color overlays to achieve the same hierarchy. 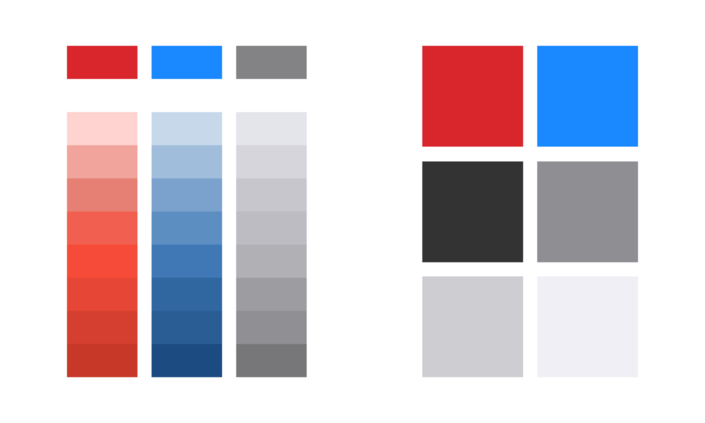 On the contrary, the iOS palette is simple and vibrant. 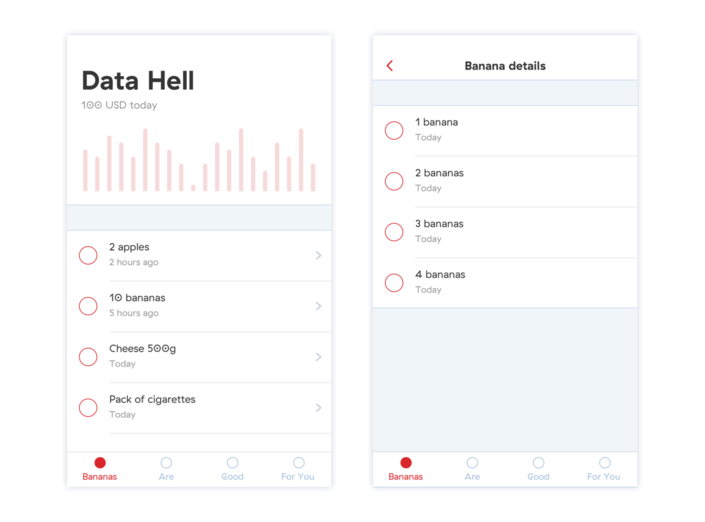 Common UI elements such as list items, bars, backgrounds, etc. are mostly presented in shades of gray, black, or white, while vibrant colors are used for icons, buttons, links and other accents. 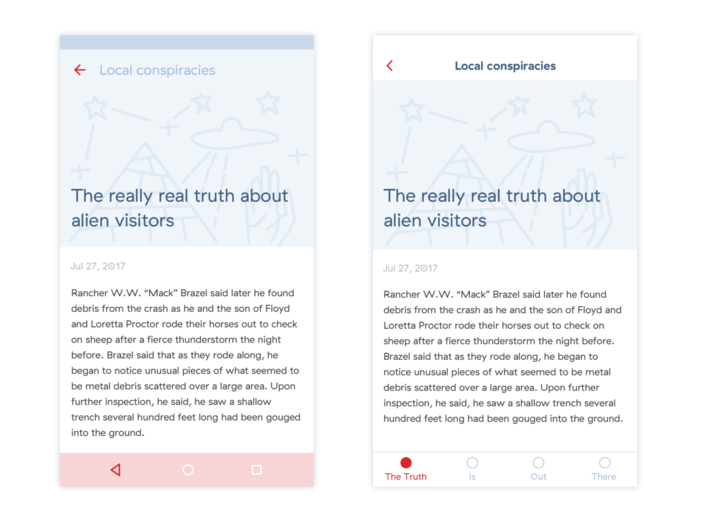 It’s important to keep in mind that in material design, titles and text are mostly left-aligned on the screen—especially when it comes to navigation elements. When designing for iOS, you should keep the action buttons and smaller captions centered, while titles, subtitles, and body text could be left-aligned. 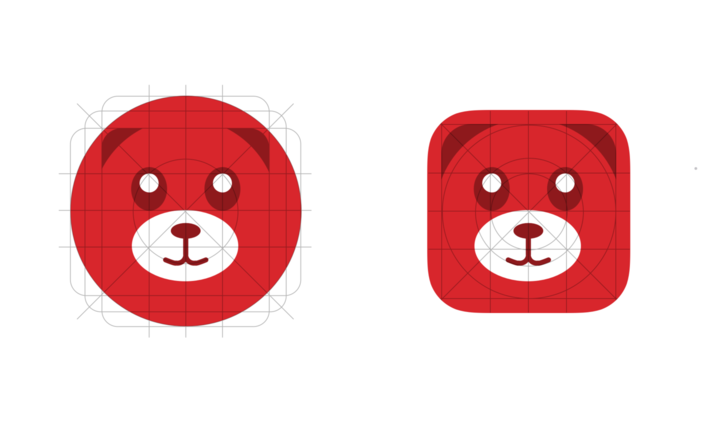 Material design encourages the usage of flat icons, while iOS design prefers thin 1px or 2px line icons. This is a tiny but important style detail that should be considered when adjusting the app for another mobile platform. 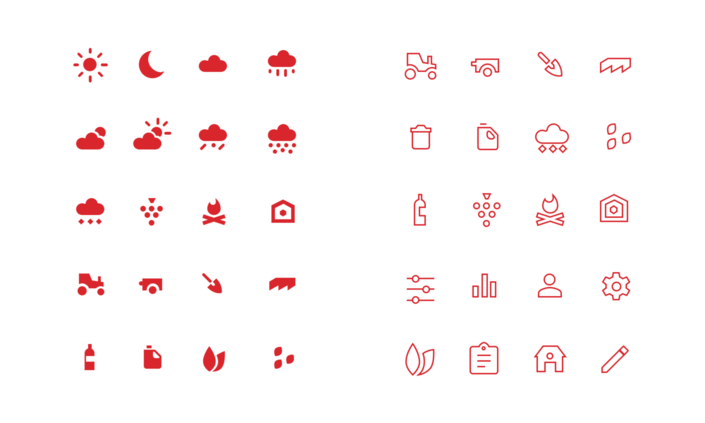 If your app has a specific icon style, you don’t necessarily have to follow this rule. Looking at the new lock screen in iOS 11, it seems like they’re moving away from exclusively using outline icons. A simple 1-pixel stroke accent may look great on high-resolution Android devices, but don’t forget that Android design should be effective at most screen densities. In these situations, the developer has to rethink the design element and account for different cases in the app’s code. 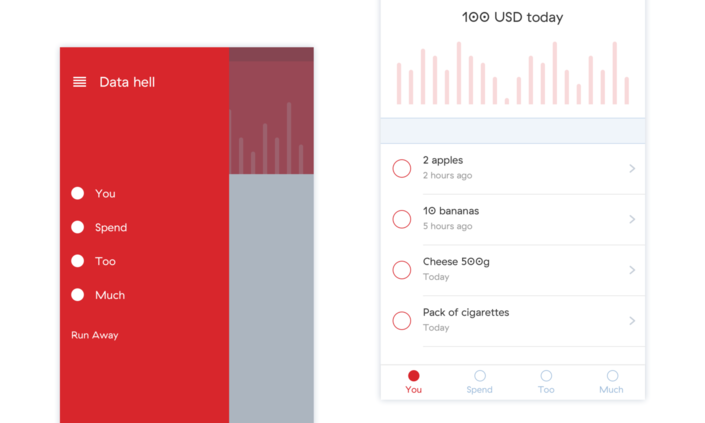 The use of the brand colors and their shades is more dominant in material design, while iOS guidelines suggest a more subtle approach to branding. In iOS, it should only be visible in UI elements such as icons, display graphics, buttons, or links. New Android app icons are adaptive, which means they’re designed to fit different mask shapes across devices (circle, rounded rectangle,etc.). iOS app icons are still limited to a rounded rectangle shape. 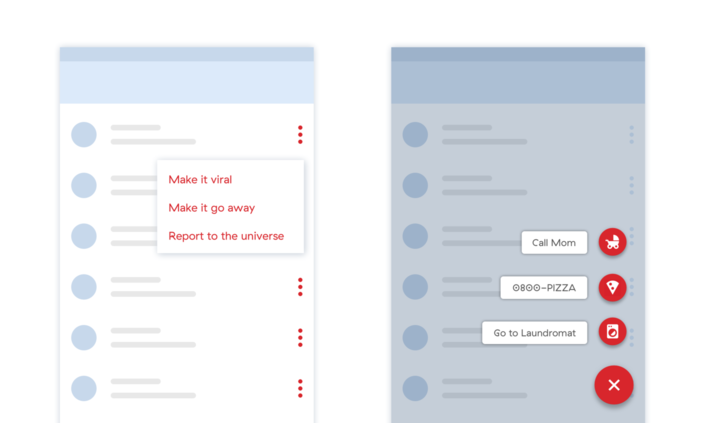 A clear and natural navigation guarantees a healthy information architecture. Other than style differences, it’s crucial to understand the basic characteristics of the navigation systems. There are many iOS apps that use the drawer. Yet, there isn’t a native component or design guideline for the iOS drawer because the recommended solution for the navigation is the native tab bar. 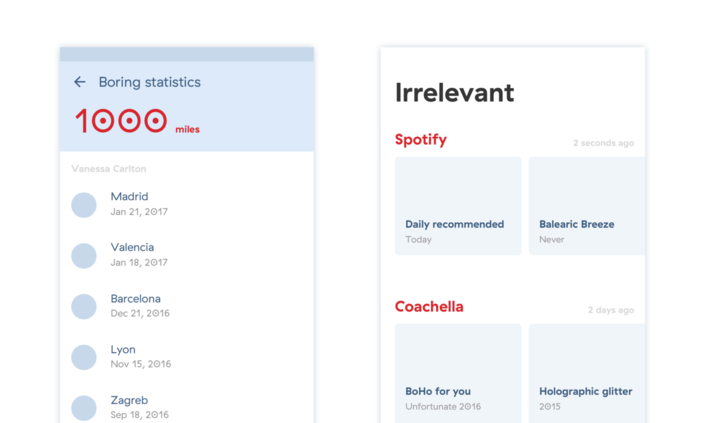 If you’re designing a component with all sorts of data and actions, use cards. 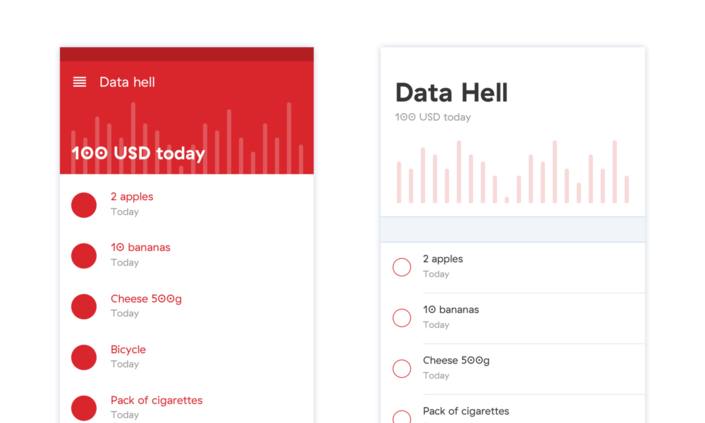 Cards are basically a data preview in a deeper navigation level. Material cards look more like physical cards, with shadows and rounded corners. 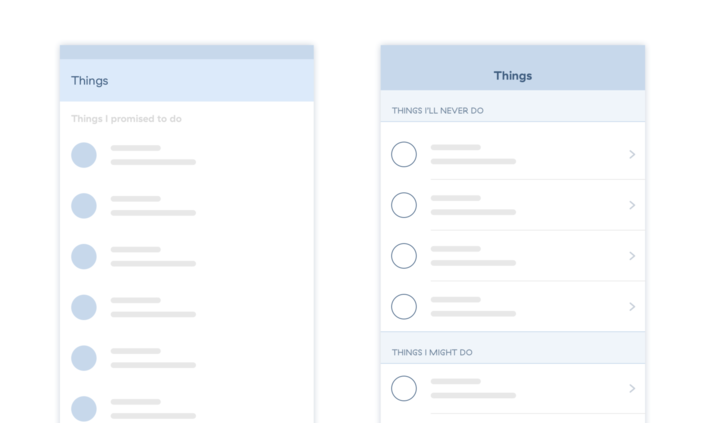 iOS cards are basically table view list items, they are full width and often divided by a 1px separator. 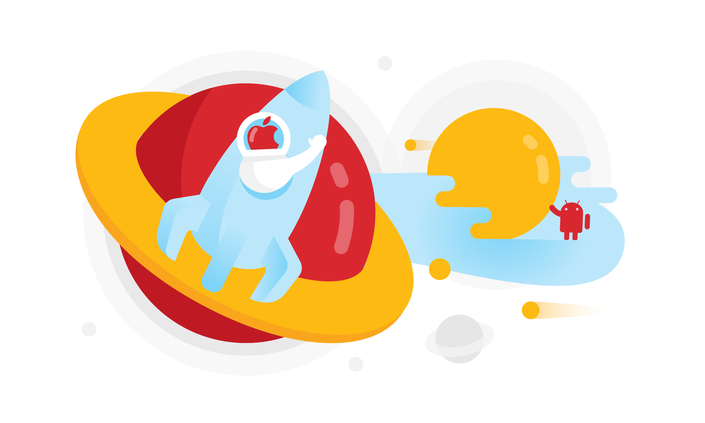 Although each platform has its characteristic look and feel, mobile designers have a lot of creative space within these constraints. It’s advised to use common patterns whenever possible, but if a designer decides to break the rules, it’ll be a good move only if there’s strong reasoning behind it. Remember, it’s not necessary to change a common component. If you want the user to figure out the app in a short timeframe, it’s always better to follow the platform’s logic and common patterns.